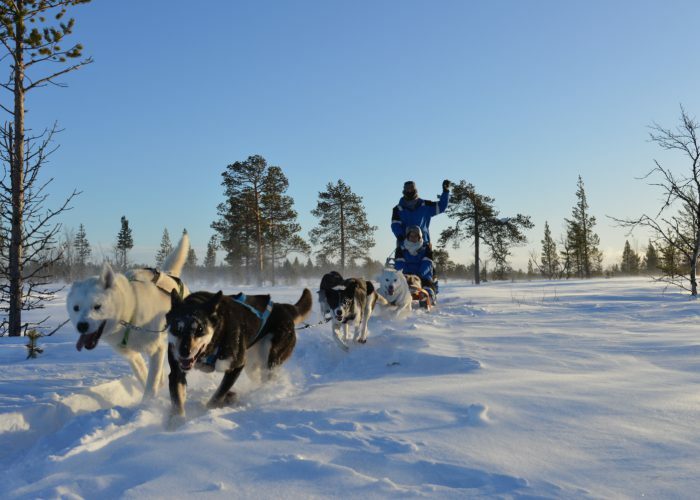 All-inclusive package with accomodation in private cabins, gourmet dinner, sauna and outdoor hot tub after a day riding the husky sledge. Combine the exquisite experience of driving your own husky team for a day and enjoy a three course dinner, prepared and served by a professional chef in an exclusive environment. After an exciting day a cozy cabin with double bed is waiting for you and your partner. Relax in the sauna or watch the northern light while enjoying a bath in the outdoor Aurora Spa. A long day on the husky sled, maybe a snowshoe hike to the best ice fishing spot and a tasty three course dinner with ingredients from Swedish Lapland will make a day to remember. Contact us in the form below to check availability and make the booking.